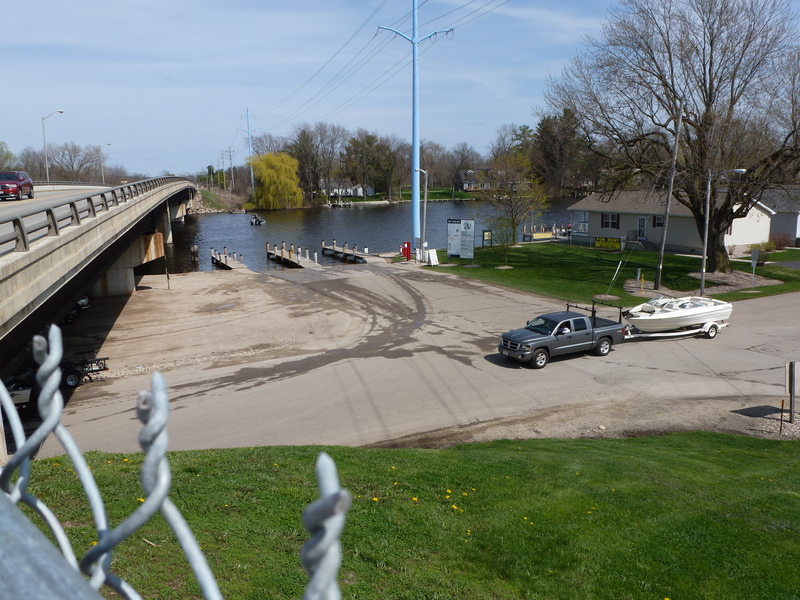 Located on the south side of Hwy 110, adjacent to the village’s main boat launch area. The pavilion can be reserved for parties, reunions, weddings, etc. Please contact the Village Clerk for reservation information. The park also has a playground and bandstand. Restrooms are open seasonally. Park hours are 7:00 am to 10:00 pm. Located on the east side of the river. From Hwy 110, follow Riverview Drive south to Riverview Court. This park has a large grassy area and playground. Located on Wolf River Drive, about a mile west of the downtown area. Large sandy beach is open to the public. No lifeguard is on duty. No pets allowed. Pavilion at the park is first come, first serve. Restrooms are open seasonally. Park hours are 7:00 am to 10:00 pm. The daily launching fee is $5 for a one-axle trailer, plus $1 per axle thereafter. 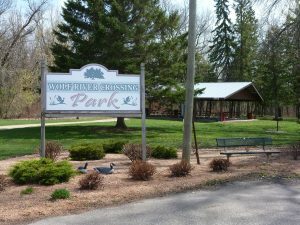 Annual permits can be purchased from the village clerk for $50 for a one-axle trailer, plus $10 per axle thereafter. Village residents and landowners may receive an annual permit for $25.